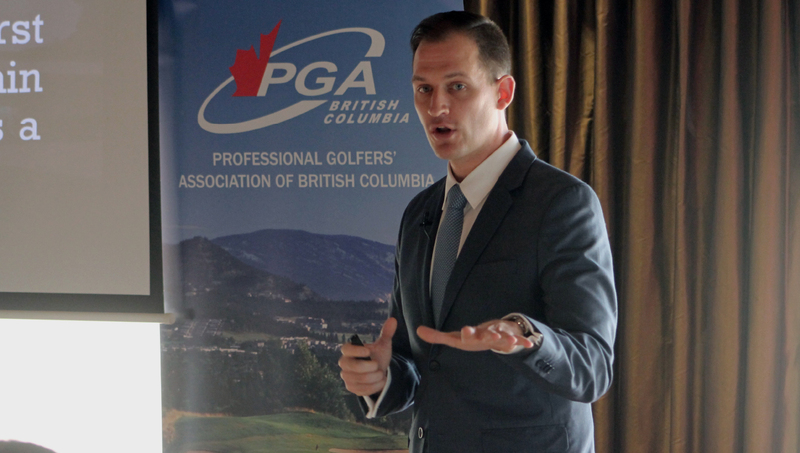 Cyrus Janssen, PGA of America member and former Sheshan International Golf Club Head Professional, delivers advice on connecting with the Chinese golf community on Monday at Richmond Country Club as part of the kickoff event of the 2019 PGA of BC Education Series presented by Foresight Sports Canada. RICHMOND, BC (PGA of British Columbia) – More than five-dozen PGA of BC Professionals were on hand Monday at Richmond Country Club for a great day of learning as the Association’s 2019 schedule officially kicked off with the opening event of the PGA of BC Education Series presented by Foresight Sports Canada. Nick Mueller, Director of Golf Performance for Innovative Fitness, opened the day of presentations by discussing myths and trends in the golf-fitness industry, and what Professionals should be looking for in a golf-specific fitness expert for their clients. The morning’s program continued with host Executive Professional Mark Strong and Point Grey Golf & Country Club Professional Jared Siminoff taking a deep dive into the scoring statistics of PGA of BC and G&G PGA of BC Tour events from the past five years and finding some revealing data, as well as a look at how Professionals can benefit from interpreting data at their own facilities. Closing things out in the afternoon was PGA of America Professional Cyrus Janssen, former Head Professional at Sheshan International Golf Club in Shanghai, who went over various strategies for clubs to connect with and market themselves to the local Chinese golf community. Following the conclusion of all presentations, Preferred Partner Fuggles & Warlock Craftworks offered a tasting of several varieties of its locally-produced beer for attendees. The PGA of BC extends its thanks to all of today’s presenters and attendees, to Richmond Country Club and its staff for the hospitality, and to presenting sponsor Foresight Sports Canada. Our education schedule resumes next month with the PGA of BC Spring Education Seminar, taking place Feb. 11-12 at Tsawwassen Springs. 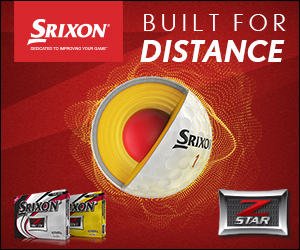 The next event of the Education Series presented by Foresight Sports Canada is scheduled for Feb. 26 at Victoria Golf Club. Visit our Schedule of Events page to see all upcoming gatherings and to register now.